The conference program of Measuring Behavior focuses on methods and techniques, and so the exhibition is an important component of the meeting. Noldus develops innovative solutions for behavioral research on humans and animals. These can vary from industry standard software packages and lab equipment to fully integrated observation labs including training and support. With nearly 30 years of experience we translate your questions into practical and proven solutions and services. Noldus closely collaborates with the scientific community and contributes to these developments by participating in many international research projects each year. All so that we can create products that meet tomorrow’s research needs today. Noldus was one of the founders of the Measuring Behavior conferences and is still the primary sponsor and helps organise the conference. Data Sciences International is pioneer in physiological monitoring of living animals. 30+ years of experience led us to become the leader in monitoring solution for cardiovascular, respiratory, metabolism and neuroscience both in acute and chronic studies. Our all-around solutions cover the full study needs such as data collection, analysis, data interpretation, surgical service and validation. Offices throughout Europe, USA, and Asia provide sales and support. We are collaborating with Noldus Information Technology because of the need of tightening physiology with behavior. The aim is to collect multiple synchronized data from the same subject to better understand the physiological mechanism underlying specific behavioral phenotypes. UGO BASILE is a world leading manufacturer of instruments for Behavioral Research. our R&D and factory have capability to customize existing instruments, or create new instruments from scratch, based on the user requirements. Ask for details! Tobii Pro provides world leading eye tracking solutions to academic institutions and to commercial companies that want to better understand human behavior. Our solutions consist of hardware, software, training and support. We also provide eye-tracking-based consumer-research studies to customers that do not have the expertise or time to conduct the research themselves, such as large market research companies and consumer goods companies. Ever since the start of the company in 2001, our mission has been to make eye tracking as accessible as possible and to make eye tracking easy to use for everyone. Vision Research has remained at the forefront of high-speed camera solutions since we introduced the first CMOS sensor in 1999. With resolutions ranging from 1 to 9.5 Megapixels and capture speeds from 100 - 1.4 Million pictures/second there is a Phantom camera ideally suited to the most challenging behavior and movement Research & Development applications. PhenoSys was founded in 2006 and is an R&D company based in the centre of Berlin in Germany. We engineer and market innovative technology for animal behaviour research. Our team draws on extensive expertise of electrical and mechanical engineering, computer science, and behavioural biology. We offer unique instrumentation in the field of behaviour biology. This includes specialised applications of virtual reality systems and RFID-based automated solutions for animals in home cage environments. Our experimental systems are used for behavioural phenotyping, brain research, experimental psychology, and the diagnostic characterisation of animal models for translational medicine. Stoelting has over 130 years experience in meeting all your physiological, psychological, and psychophysiological measurement needs. 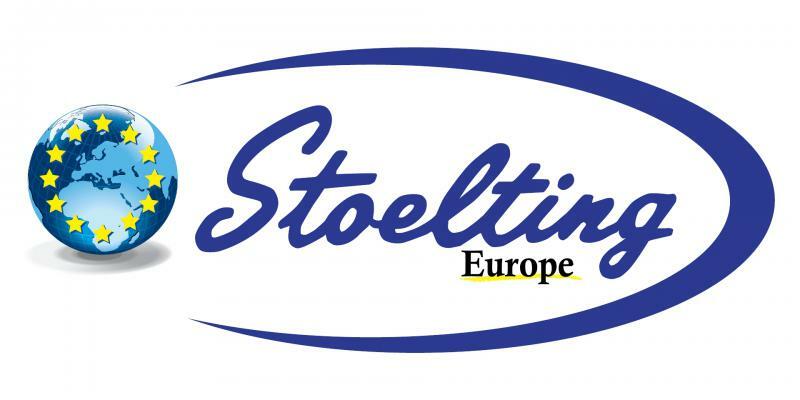 At Stoelting, we are proud of our Tradition of Innovation, and we shall always have a strong commitment to support scientific research. We seek to offer only high quality, reliable instruments, and support them with prompt, educated customer service from our staff of science professionals. AUTOMATIC CALL CLASSIFICATION: enables fully automated classification of Ultrasonic Vocalizations (USV) of mice. TSE Systems has over 130 years of expertise in developing and manufacturing sophisticated life science research equipment. Today, using the latest technology, we are world's leading provider of highly customizable behavioral and metabolic phenotyping equipment. Complex behavioral paradigms can be achieved with our IntelliCage system. It allows the evaluation of behavior and cognitive performance of individual mice or rats while they are living in a social group of up to 16 cage mates. This unique principle fosters normal social behavior in an enriched, highly standardized home cage environment, thereby ensuring a high level of animal welfare and minimizing the need for human intervention or single test apparatuses. The IntelliCage decreases the variability of stress reactions in mice and therefore provides consistent data across laboratories. It has been used to transfer standard mouse tests to assess e.g. exploratory behavior, activity, spatial learning, operant/associative learning, memory and animal tests of anxiety. The preprogrammed tasks are evaluated seamlessly by specialized integrated fully automated operant conditioning corners. Each animal is equipped with a RFID transponder/unique tag number and recognized as it enters the conditioning corner. Also the transponders allow the selection of specific animals out of the group, via an animal gate the IntelliCage expands to a multi-area system, where fully customizable arenas and mazes can be added to create the PhenoWorld, the behavioral testing standard of the future. If space limitation is a topic in your lab, have a look at the Multi Conditioning system which is designed for multi-purpose behavioral testing, e.g. the evaluation of learning, memory, emotion and stress-related behaviors in mice and rats. One system supports nine paradigms. Our PhenoMaster allows the assessment of metabolic, behavioral, cognitive and physiological parameters in the home cage. Unique to our system is the ability to combine standard metabolic measurements with microbiome activity monitoring, meal analysis, movement behavior, quantifiable exercise data and detailed physiological monitoring. Our collaborative philosophy drive such applications as implementation of optogenetics. Please visit us, we are happy to discuss your specific needs!